Curled from the forth coming Massive Collaboration Album "The Great Commission " comes this masterpiece inspired by the Senior Pastor of The Commonwealth of Zion Assembly (COZA) in a message tagged "The Goodness of God". This piece expresses the Goodness of God in the lives of those who diligently seek him "Come!, Taste and see the Lord is Good". 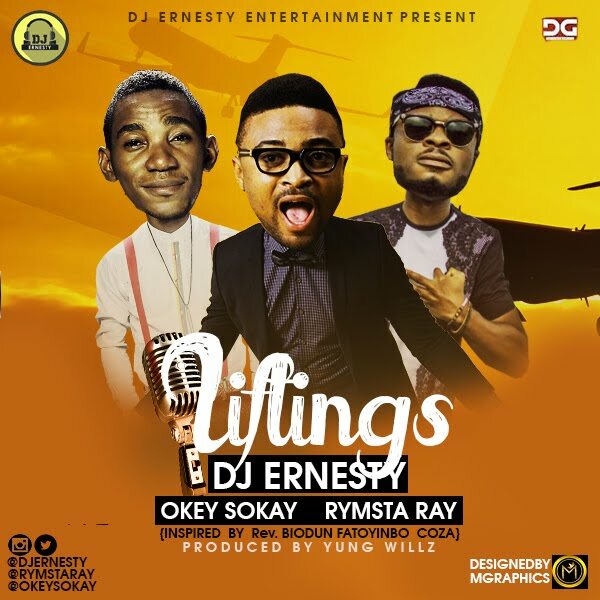 This Collaboration by DJ Ernesty features a Blend of One of the Best lyricists in the Gospel Music Business Rymsta Ray to match with a Heavyweight producer/ Artiste Okey Sokay titled "LIFTINGS" produced by the Hit maker "YungWilliz". Hit the Download Button Now and Experience LIFTINGS on Every Side.